DeskSpace 1.5.1, our new 3D virtual desktop application, has been released. DeskSpace helps you eliminate clutter, become more efficient, and get organized by expanding your desktop space into 3D. If you’d like to try it out, you can download the trial or buy it at the Online Store. Dramatically improved graphical performance and memory usage. 360 degree sky box backgrounds. Improved stability and numerous bug fixes. I’d like to take the opportunity to thank all the users who helped us during the beta test. The quality and quantity of feedback we received was outstanding, and played a huge part in making DeskSpace the best it could be. Support for desktops and images on the top and bottom cube faces. Better cube control, including cube physics and Beryl-like mouse rotation. You can visit the DeskSpace page to find out more about DeskSpace, and visit the Online Store to buy DeskSpace 1.5.1. This entry was posted on Tuesday, September 18th, 2007 at 1:01 pm	and is filed under DeskSpace. You can follow any responses to this entry through the RSS 2.0 feed. Both comments and pings are currently closed. Excellent product … and very well engineered – thanks for your hard work. Your efforts to handle Vista’s security diffs. as well as its UI don’t go unnoticed either. well….timeÂ´s rushing….it feels like hours since I have installed the trail…how ever…30days passed damn fast?! I have tested your software on a low range RAM’ed AMD64Athlon Notebook running an “FlyAKite”-moded WinXP and that very short test was satisfactory. I guess it can help me in the future not only to show off with. So cause you are offering it in a bundle I guess I will buy it with TopDesc soon. I defiantly love it. I hope you have optimized the products to work together cause of expired trails it seems that thereÂ´s no way to test em at the same time for me anymore. Just a small hint for you: last time I have tried to pay via Payal I failed. PayPal have changed something. Maybe you should set your connection up to date. I tried out the trial of this program and was amazed. I had been looking for this functionallity for a long time but had been unable to find a program to do so in a satosfactory manner. 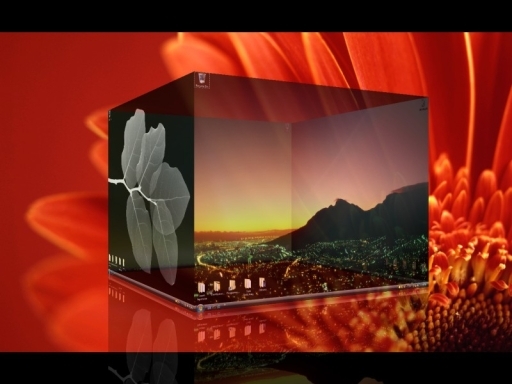 its like 3D cube desktop! You can download the trial from http://www.otakusoftware.com/deskspace/download.